You lucky inventors of Leeds have a treat next month. My very good friend Dai Davis of Nabarro Nathanson will be speaking on making money from IP. His talk will cover every aspect of commercialization from licensing to manufacturing yourself. Dai knows what he is talking about. Having read physics at Oxford and computer science at Newcastle Dai built up the IP/IT department of Hepworth & Chadwick (now part of Eversheds) into one of the best in the country. He is a really good speaker and we are lucky to get him. "Given the construction I have placed on claims 1 and 2 as set out above, I conclude that if, in normal use of the Showerbath product, the screen is prevented from being swung outwards over the edge of the bath by the engagement of the sealing strip with the shoulder of the bath then that product infringes claims 1 and 2 of EP(UK) 0801532, but that if the screen can be swung outwards over the edge of the bath then the Showerbath product does not infringe the patent." 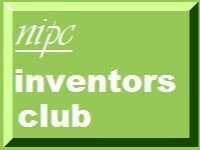 Finally, I should like to thank everyone who sat on my panel at the Leeds Inventors Group on 18 Jan 2006. We had a very good discussion. Thanks in particular to Clare Adcock representing the CIPA and Ged Doonan of the Business and Patents Library.